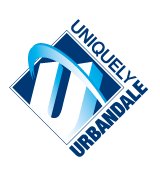 Urbandale will be a school district that brings learning to life for everyone. The Board of Directors shall consist of seven members. Members shall be residents and eligible electors of the District. Voters of the entire school district shall elect all Board members. The Board of Directors believes that the following characteristics are necessary for an effective Board member: a willingness to put forth an effort to serve the students and community; a belief that public education is important; support for the democratic process; respect for educators and students; and the ability to examine facts and make a decision after fair evaluation of information received. A link to this policy will be emailed with your message.